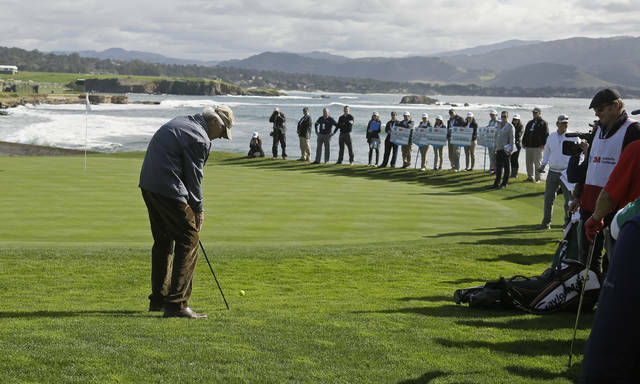 The views won’t change, and they were as spectacular as ever on the eve of the AT&T Pebble Beach Pro-Am, with turquoise waves crashing against rocks and sending eruptions of white spray against the back drop of Pebble’s small greens. 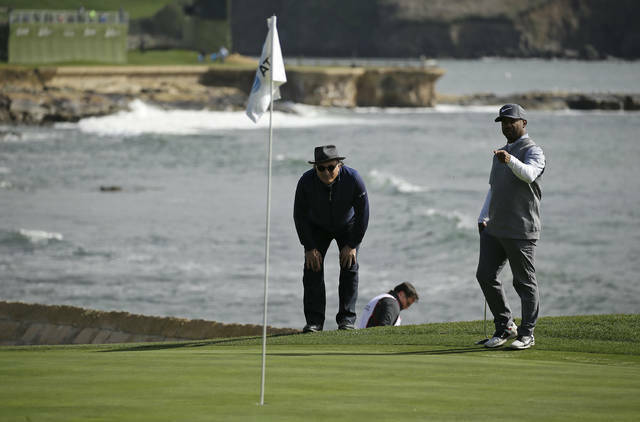 Heavy rain over the weekend, with wind so strong it knocked over a corporate tent left of the sixth fairway, has saturated Pebble Beach so much that the turf sunk ever so slightly with every step on the fairway. Davis Love III didn’t see where his shot landed on the 10th green because it was plugged, only the top half of the ball showing. No, this isn’t a sneak preview of the U.S. Open. It’s not a complete waste of time, either. 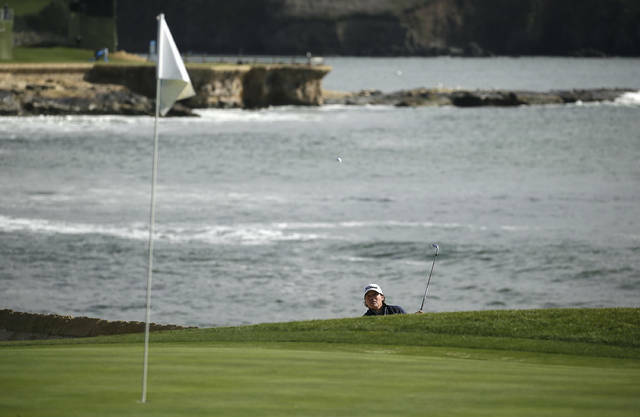 “It’s just one of those few places in the world that has like an aura and an atmosphere about it and you feel very lucky to be playing golf this week,” he said. With so much rain over the last few days, and the forecast for the weekend, players will likely be able to lift, clean and place their golf balls in the short grass. That’s not unusual for this tournament. It might be unusual for Davis and few others on the USGA executive committee. The U.S. Open never uses lift, clean and place — another example that while it’s the same course, this isn’t the U.S. Open.